Spring is the time that says current year is ending and New Year is about to fall. This is also the time when you need to do cleaning of you home, office or other places to welcome the New Year with excitement, happiness and health. That means if you have an office then you need to spring cleaning in your office to welcome the year with open heart. But some people do not know how to do the office cleaning in smart manner and that keeps them in a dilemma. 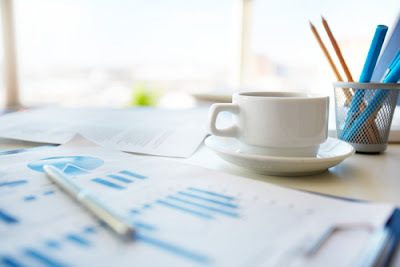 Well, if you are in same situation and you have no idea how to spring clean your office for the coming 2016, then following are few suggestions that can certainly help you in this requirement in easy ways. Get rid of old unused stuffs: Some people may assume only homes can have unused and old stuff in the storage area. However, this is not true as many offices can also have same kind of unused and really old material in the storage area. 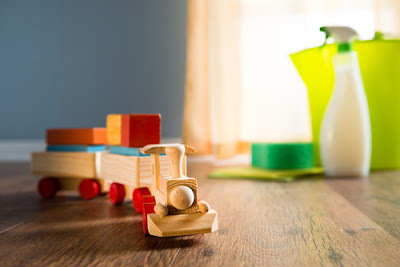 In your office cleaning work, your old and unused stuff can be a really a big hurdle and you need to get rid of this hurdle before you start your spring cleaning work. This material can have old unused computer or computer parts, really old magazines, bundle of cables that you have not used since ages, broken or damaged table & chairs, and many other things similar to this. When you start your office cleaning work then make sure you get rid of these stuff as soon as possible If you will contact a cleaning service then they will also suggest the same thing to you for better spring cleaning work. Digitalize your documents: These days you can easily get a high quality and very fast scanner in very affordable cost. You can use this scanner to digitalize your old documents that you may not need in hard copy. After digitizing your old documents you can just get rid of these old documents and you can create a lot of space in your office storage units. That will help you have more space for office documents and you will be able to get the best outcome in the best possible way. But when you follow this office cleaning method, then make sure you do not remove those documents that are important to you. If you want you can digitize them, but I would never suggest you to get rid of original copies of important documents during spring cleaning process. Reduce unwanted cables: Sometime a cluttering of cables can affect the spring cleaning work in a negative manner. Ever professional cleaning service prefer to reduce the unwanted cables in office cleaning work. When you will remove all the unwanted cables then you will have enough space to do the spring cleaning work. Also, this less clutter will make the work enjoyable for you and you will not feel irritated in your office cleaning work. So, follow this simple tip and I am sure you will be able to get the same result that you can have with a professional cleaning service. 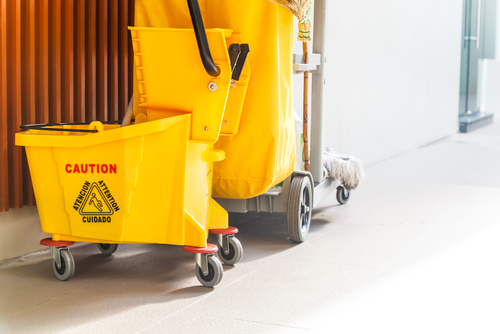 Assign the work to employees: This is another important thing that you can do to finish the office cleaning work in the best possible manner. 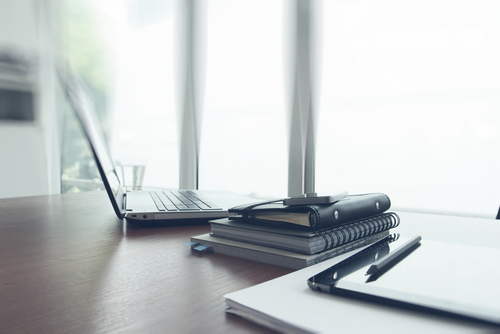 You can ask your employees to clean their desk for the New Year. 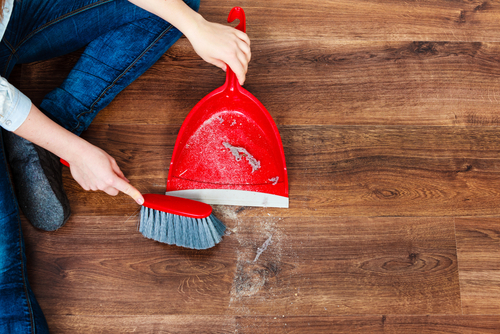 You don’t have to ask them to wipe the floor, nor you need to tell them to clean the table with the help of a dusting pad. Yet you can tell them to get rid of old stuff like very old magazines, not working pen, unused documents and other things. In short, you can ask them to have a less cultured space on their table so cleaning staff can do the office cleaning in better way. Also, you can ask them to dump everything in dust been and not to have any kind of liquid on desk in open glass. This will reduce your work and you will be able to finish office cleaning work like a professional cleaning service can do. Try not to finish in a day: This is another important thing that you have to keep in your mind to get the best outcome from your spring cleaning work in office. If you do not have enough hands for the help, then you may not finish the work in a day. To have better result in this particular method, it is a wise idea that you give some tie to yourself for the office cleaning work. When you will have enough time to start the work, then you will be able to finish it on time. So, it is a wise idea that you start it early and you clean only one area at a time. It will help you get the result that you expect from a high class cleaning service provider. Do not ignore hidden area: Some people think only superficial cleaning is enough but that will not do the trick for spring cleaning. When you do the office cleaning to welcome New Year, then you need to follow the same approach that a reputable cleaning service would follow. For better result, you shall clean all the hidden parts such as back of tables, picture frames and top angles. This will be difficult, but it will give good result to you with better cleaning. Take the help of professionals: In many places, you may not do the work by yourself and you may need to take the help of professional cleaning service in those situations. For example, you may not clean the sofa, chairs or carpet in the best possible way. So, it is a wise idea that you take the help of experts for cleaning of these things. When you will take experts help, then you will be able to have better result in your office cleaning work. So, make sure you keep this thing also in your mind while doing any kind of spring cleaning work in your office. Having curtains in the house is indeed an essential aspect of cleanliness in any home. In addition to improving the privacy of your house, curtains add to the overall aesthetic value of the house. If you’d like your curtains to look absolutely clean and fresh before the New Year, then it would be wise to make certain that your curtains are regularly cleaned. Curtains in Singapore (and globally) are often manufactured using different kinds of materials. Consequently, different cleaning approaches ought to be utilized based on the specific material utilized in making the purported curtains. Note that if curtains aren’t cleaned appropriately, it’s easy to alter their original color and shape. Prior to cleaning your curtain, you’re advised to go through all the instructions that are often provided on the back side of your curtain. Should you find a label that indicates that the curtain ought to be dry cleaned, make sure you take it to the nearest professional curtain cleaner. A reputable curtain cleaning firm ensures that your curtain is free from stubborn stains, odors and molds. Similarly, the company will guarantee that the curtain doesn’t lose its original shape as well as colors. 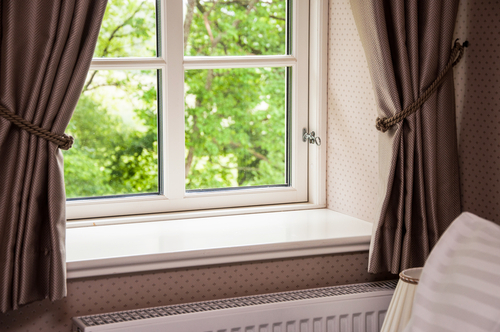 It’s always ideal to wash your curtain at least two times in a year, preferably in the warm weather. This is the time when it’s easy for you to wash your curtains and dry them in a single day. Nevertheless, avoid exposing your curtains in direct sunlight as it may cause their colors to fade away. Prior to cleaning the curtains, always ensure that you’ve checked the label to determine the correct treatment. 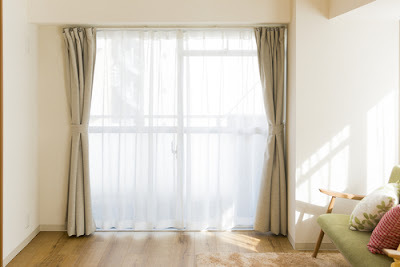 Remember, a number of curtains are made of fabrics and materials that make cleaning a little tricky. Curtains can equally be compromised by a wrong sort of wash. Similarly, some curtains tend to be sun-rotted, meaning that they can’t be washed. There are those curtains that are machine washable, although others are not. It’s always essential to check the curtain label, because it will help you to figure out the right treatment prior to starting the wash. Checking the fabric of your curtains is equally crucial, as this will help determine whether it’s heavy or light. For curtains that boast light fabric, such as cotton or silk, a gentle shake is apparently enough to keep them clean and fresh. You may also choose to vacuum your curtains to keep them clean and dirt free. Before you choose any cleaning method to wash your curtains, make sure you’ve checked the attached tag for info concerning the best cleaning process. Always opt for the best cleaning method that suits the specific fabric of your curtain. The kind of fabric for your curtain will determine whether or not, the curtain can be washed by using a washing machine. A washing machine often works best and executes outstanding results with lightweight curtains, but not with heavy weight materials that typically retain water. Some fabrics will also require special care and attention, especially when placed in the washing machine for cleaning purposes. For instance, a delicate cotton often shrinks in hot water. Nevertheless, if you find that the fabrics of your curtains are machine washable; clean them in accordance with the instructions from the manufacturer. Don’t overload your machine, though. Clearly note that overloading the machine can easily damage your curtains as well as the washing machine. - If the machine boasts a delicate cycle, ensure that you use it; otherwise, make sure to opt for a cool wash, preferably with a rather slow spin. - You can use your ordinary laundry detergent. It’s absolutely fine. - If you’re particularly concerned about the curtain material shrinking, do not risk placing them in the washing machine. You should hand wash your curtains instead. A washing machine works best when it comes to cleaning lightweight curtains, but not with heavy materials. To avoid any confusion, always make sure you read and understand the label on the curtains prior to laundering them. - You may either utilize the soap or a regular laundry detergent. However, the soap that you use should specifically be designed or intended for hand washing delicate fabrics. Choosing a gentle soap is ideal because it will help you avoid causing severe damages to the materials. - Strictly follow the guidelines on your preferred product to hand-wash your curtains. Remember, different products need different concentrations. Hand washing the curtains can be a greater chore than simply placing them in the machine. Nonetheless, it’s probably the best solution for those who wish to minimize the risk of shrinking. It’s likewise the best option for delicate materials—including 100% cotton. It’s imperative to avoid hand washing heavy materials because it’s hard and tricky to drip all the water, delaying the drying time. One of the most convenient processes of curtain cleaning is using a flawless quality steamer, especially the one that boasts a decent upholstery attachment. - Make sure to start right from the top, working way down toward the bottom of your curtain. - If the material becomes wet in the process, hold your appliance a few meters away from your curtain. - Pay a close attention whenever you’re trying to use a steam cleaner. It’s impeccable to read and understand the manufacturer’s instructions prior to using it. Keeping in mind that steam can easily burn you, always ensure that you have suitable protective clothing with you. It goes without any doubt that steam cleaning is a tremendous option for cleaning curtains with heavy materials. Additionally, this method is best for those curtains that are basically tricky when it comes to taking them down from the rail. Do not be tempted to place your wet curtains in the dryer. This is because the tumbling motion often causes stubborn creases (which are difficult to remove) to appear on your curtains. Removing these creases isn’t a walk in the park—even a hot iron can’t simply eliminate them. The best possible approach of drying the curtains is hanging them outside. Avoid hanging your curtains in direct sunlight, though. Drying them in a direct sunlight may result in bleaching. If possible, place your washed curtains in a certain breezy place and allow them to dry naturally in their hanging position. This hanging position is essential for creases to easily fall out. Lastly, always give your cleaned curtains a quick iron afterwards to make them look fresh and brand new. Kindly follow these guidelines whenever you need to accomplish a perfect curtain cleaning for the new year in Singapore. 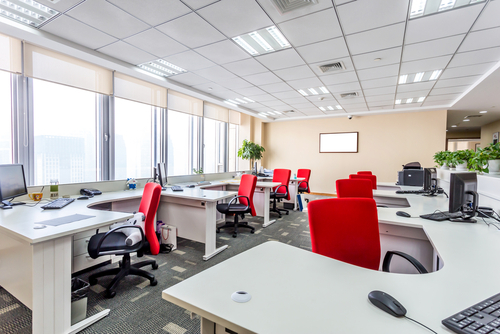 Many people want to clean their office in Singapore for a number of reasons. They usually do not clean their office as tidy and clean space looks better than messy one but also to increase the productivity of their office and to impress their clients and customers positively. Some of them intend to clean their office space as the messy condition of their office deprives them from finding important papers when required. Similarly some people are interested in cleaning their office space to get rid of broken pens, gadgets and notepads. 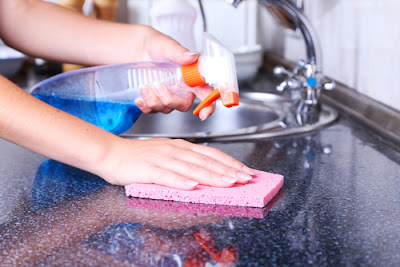 If you are one of these people then the step by step office cleaning tips provided in this write-up can help you in cleaning it within few minutes. You only have to spend some time on each desk to accomplish the project of cleaning your office yourself. Organising papers: Papers in an office is one of the main causes for its messy condition. You can find various types of papers scattering on your office including receipts, cartoons and notes which can obstruct you in doing other important tasks in your office. You can fix this problem within few minutes by separating them categorically so that you can filter and compile them in separate files later on. Moreover you should discard the paper whose information is saved on your computer. Pens and pencils: You might have a number of pens and pencils in your desk but most of them may not be in working condition. You might be using only one for your routine works. During your office cleaning project in Singapore you should sort out the working pens and pencils so that you can give them to someone else, if you do not want to use them. You should keep one with which you are sentimentally attached to use it in your office work. Paper Clips: Another thing that clutters your office table the most is the paper clip. The increasing use of computers in the offices has reduced the use of these paper clips. If you have not used them since long then what is the fun of keeping lots of them on your desk. You can distribute them to your office mates and friends to de-clutter your office. Most of the people using these paper clips in their office buy them in bulk due to their low price. But if they are not used regularly then they can create mess in your office. Remove dust: You might be having lots of dust on your office desk if it always remain covered with unnecessary things as you may rarely have chance to wipe it to remove the dust from it. So when you have de-cluttered your office table by organising the paper, pens, pencils and removing paper clips then you should wipe it with a clean damp cloth to remove its entire dust. Informal clothes: You might have some informal clothes including socks, a sweater and a scarf, hanging in the rest room of your office in Singapore which you might be wearing while working out in your office gym. If you have not used them since long then instead of preserving them as it is you should either drop them at a laundry for cleaning or donate them to some needy person. Office swags and cards: Your friends at work may be offering some thoughtful gifts and cards during the year. They all clutter your office desk if you neither you take them to your home nor disperse them among your colleagues. So instead of making your desk museum of these cards and gifts you should disperse them immediately to resolve this problem. Their presence on your office desk may disturb other important things on it. You should store you certificates and awards along with gifts offered by your friends and colleagues at your home if you want to preserve them, to keep you office clean. Hardware: Today computer and allied gadgets including printer etc. have become the backbone of every office. You should keep them clean by removing the dust and grease accumulating on their hardware to ensure their proper working for long time. Cleaning a computer is not an expensive job. You can blow the dust from your CPU with the help of a can of canned air and wipe clean the screen of your monitor to make it look clean. Disinfection: Any unclean space whether it is your desktop or the bathroom or rest room of your office can cause infection due to the germs present on them if they are not cleaned properly for long time. So to fix this problems it is better to disinfect every place your office after dusting and cleaning them properly. You can spray the disinfectant repeatedly to ensure that your office is free from germs. Reorganize the office supplies: You should get rid of the office supplies like highlighter, tape dispenser, staple remover and staplers etc. if you do not need and used them since long. Such unnecessary office supplies usually overload your office desk. You should keep some of them as you may need them in future but remove most of them if you are having lots of them on your desk. Food remnants: You office desk should look as if you are not present there. Most of the people eat their food at their desk which give it a unclean and grimy look if not cleaned immediately. The smell occurring from your office desk might be attracting your colleagues to it. So to get rid of this problem you should throw away any food item you find on your desk either in a bowl or plate, if you are not eating it. Instead of eating at your office table you should go to the office kitchen and enjoy whatever you want to eat or drink to avoid any messy condition at your desk top. Thus, by following the office cleaning tips provided in this write-up regularly you can clean your office in Singapore within few minutes.